Home / Beauty / shoes / Skechers / Travel / Valentine's Day / Fun Valentine's Date Ideas and Couple OOTDs! Fun Valentine's Date Ideas and Couple OOTDs! MANILA, Philippines – The season of love is definitely upon us. In fact, hearts, cupids, and flowers are everywhere, setting the mood for Valentine’s Day. To inspire you even more, we listed some date activities and suggested outfits to make you the cutest couple around! We suggest foregoing the cliché twinning shirts and instead wear something stylishly complementary and comfy instead! Good thing, global footwear brand Skechers is here to help you celebrate this season in style (and in love) whatever you plan on doing with your partner! Lucky enough to score some seat sale tickets or putting together a last minute weekender trip? Traveling with your significant other is always a thrill! 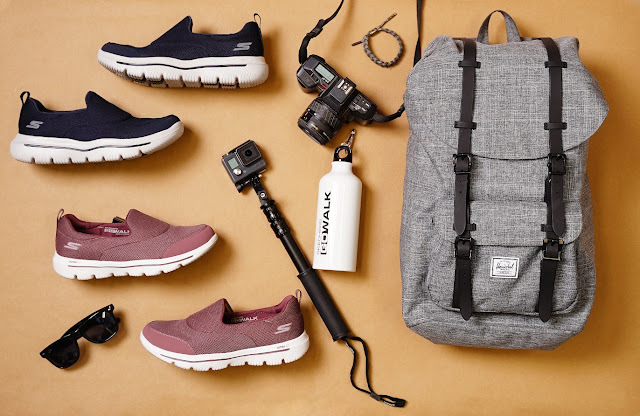 Whether it’s a Disneyland adventure, exploring a new city or other touristy stuff, aside from a camera and backpack, Skechers Gowalk slip-ons are a must-have. Those who have tried it including popular travel bloggers swear by them as go-to travel shoes. Wear them especially if your DIY itinerary runs the entire day until night and includes a ton of walking or standing. Say goodbye toaches and pains that hinder you from endless hours of walking, Instagramming, and hand-holding! Get them in your favorite colors; try navy for him, and mauve for her. Cute! Enjoy the sun, surf, and the sea as you head to one of the nearest beaches in the country this V-day. Party in La Union, relax on serene Zambales shores, or take a quick road trip to Batangas! Whichever you choose, make sure to bring the essentials such as a pair of comfy and versatile Skechers Sandals. These river sandals are a great pair to his tropical shirts and sunnies and will come in handy when walking to a nearby waterfall. For her, stay effortlessly chic with high-waisted bikinis and a trending rattan bag. 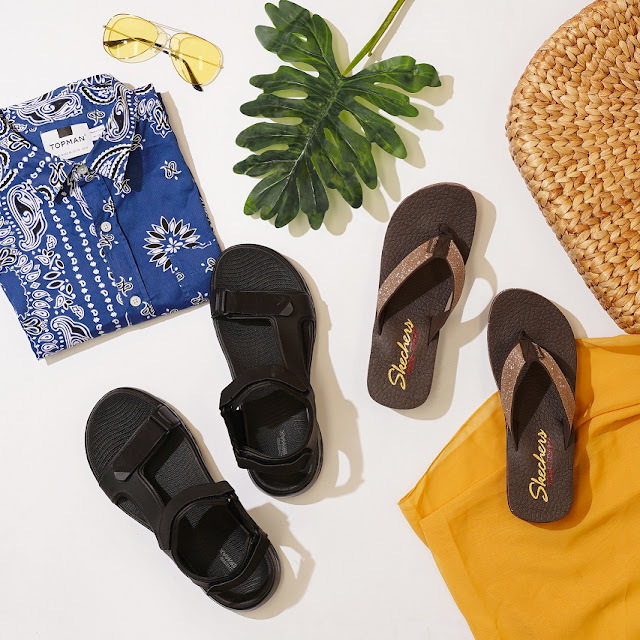 These Skechers Sandals with subtle gold shimmer can go from a day of basking under the sun with a fruitshake in hand to a night out with a cocktail or two! From sand to dance floor? Bring it on! If one of your resolutions this year is to stay fit, we congratulate you for the hard work you’ve done these past few weeks. And if cheat day isn’t in your vocabulary, why not make Valentine’s more productive and finally try the class that you and your sweetheart have been eyeing? Spinning, Muay-Thai, Brazilian Jiu-Jitsu, or Yoga, whatever it is, just go for it! 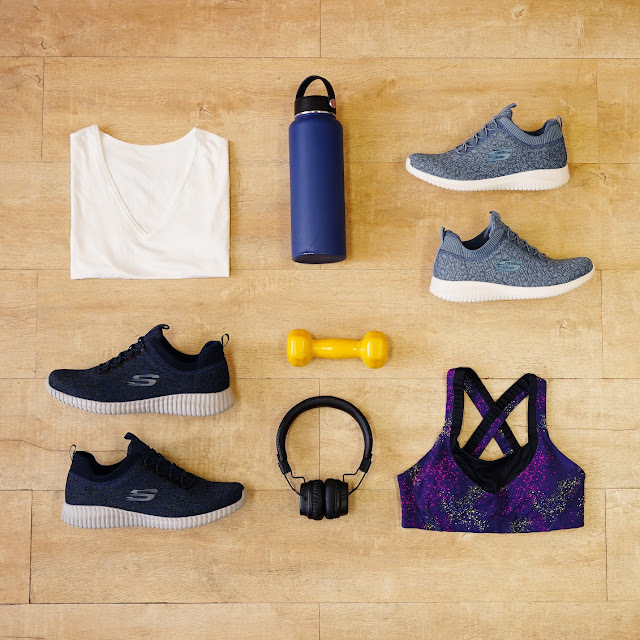 Aside from the gift of fitness, why not top it off and give your loved one a pair of Skechers Sport sneakers? Of course, we suggest you get one for yourself, too. Each pair is made from top-of-the-line materials like breathable Skech-Knit uppers, and Air-cooled memory foam insoles in sleek designs that can take you from the gym to the streets! If you and the bae are the extroverted types, better check your Facebook events and click “Going” to the latest happenings for the week. Choose based on your interests and you may even get to make like-minded friends! Attend a street party in Poblacion, a gig at Saguijo, or food trip in Kapitolyo or Aguirre Street. This is a perfect occasion to bust out your street-ready OOTDs with Skechers Street sneaks. Don’t fret, you’ll stand out from the white-sneaker-wearing crowd with unique details. Nobody will call you basic when you rock them rainbow rhinestones and gumsoles! The best part? 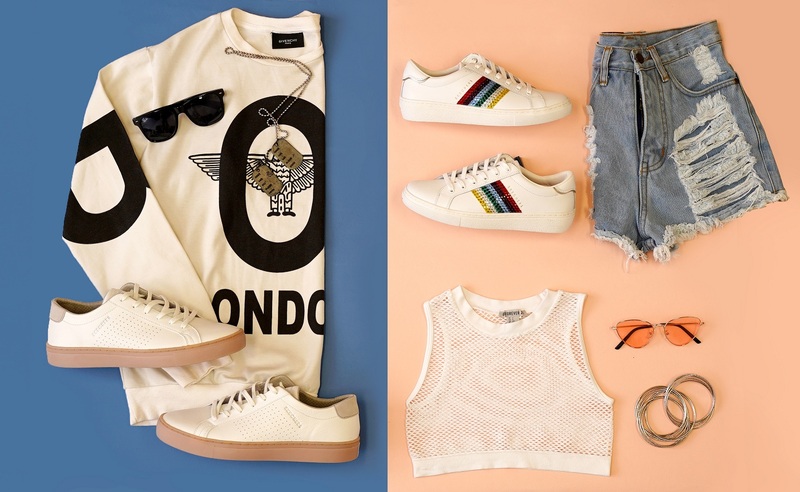 You can mix and match your kicks easily with the latest fashion trends such as the signature sweatshirt and dog tag combo for him, and the cropped top and hoop earrings combo for her. For more information, visit skechers.com.ph, like Facebook.com/SkechersPhilippines and on Instagram @SkechersPH. Skechers is available online and at Glorietta 2, Trinoma, SM North Edsa The Annex, Ayala Malls Cloverleaf, Gateway Mall, Robinsons Galleria, Ayala Malls The 30th, SM East Ortigas, Market! Market!, SM Mall of Asia, Robinsons Place Manila, Lucky Chinatown, Alabang Town Center, Festival Mall, SM Southmall, SM Bacoor, SM Dasmarinas, Robinsons General Trias, SM Lipa, Fairview Terraces, SM Fairview, SM Pampanga, Marquee Mall, SM Clark, Vista Mall Bataan, SM Cabanatuan, Robinsons Place Ilocos, Ayala Malls Legazpi, Ayala Center Cebu, SM City Cebu, SM Seaside Cebu, SM Bacolod, SM Iloilo, SM Davao, Abreeza Mall, Gaisano Mall of Davao, Limketkai Mall and Centrio Mall.